If the baby of a Prime Minister can’t dress itself, what hope do the rest of us have? As Prime Minister Jacinda Ardern returns to work this week, there are growing questions over what her having a baby was even for in the first place. Six weeks on since the much-hyped birth of Ardern’s child, it appears to have done absolutely nothing for itself, the country, or the economy. Early indicators suggest that it may have even cost the country money, money which it has yet to pay back. Opposition leader and rare breed of tightly wound poodle Simon Bridges laid some responsibility at the feet of the Prime Minister earlier today. Bridges acknowledged that none of his three children had done anything to benefit the country, but said it wasn’t his job to benefit the country. 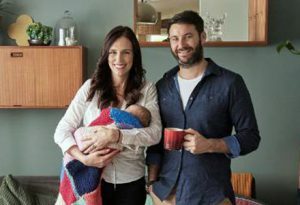 The Prime Minister has spent her first day back on the job defending the baby in candid interviews with Alison Mau, Tova O’Brien and others. One man, who wished not to be identified, said he was “especially annoyed” by how “utterly useless” the child has turned out to be. Despite her dismissal of the criticism, Ardern appeared to cave to political pressure today, telling media that baby Neve would be accompanying her on her upcoming trip to the United Nations, possibly to provide her with an opportunity to finally do something.